Nicolaus Schafhausen, Director of Kunsthalle Wien, appointed Curator of Bucharest Biennale 6, 2014. The appointment also will mark a the first cooperation of Bucharest Biennale and Kunsthalle Wien which will develop a new type of dialogue between Wien and Bucharest. Governing motif of the 6th Bucharest Biennale will be displayed in various figures of the concept-couple Belonging & Longing. It will focus on topics related to the imperfect / open nature of (national) identities, the inverse forces of desire for identity and individualism and their structural effects towards our perception of the Other and the Self. Nicolaus Schafhausen studied art history and worked as artist before he started his career as a curator. He served as artistic director of Künstlerhaus Stuttgart, and as director of the Frankfurter Kunstverein. He was a curator at the Nordic Institute for Contemporary Art in Helsinki (NIFCA) and the founding director of the European Kunsthalle, an initiative to establish a new art institution in Cologne. From 2006 to 2012 he headed the Witte de With Center for Contemporary Art in Rotterdam. 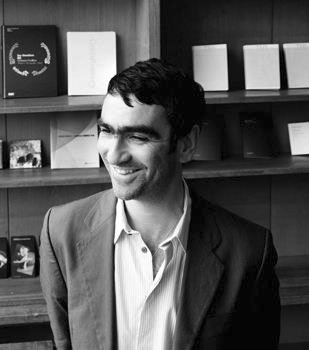 Nicolaus Schafhausen was the curator of the German Pavilion for the 52nd and the 53rd Venice Biennale in 2007 and 2009. Schafhausen is also the strategic director of Fogo Island Arts, an initiative of the Canadian Shorefast Foundation (shorefast.org) and since October 2012 Nicolaus Schafhausen is the director of Kunsthalle Wien. In addition to Schafhausen’s extensive experience in leading institutions and curating exhibitions, he is author and editor of numerous publications on contemporary art. 6th Bucharest International Biennial for Contemporary Art is set for May 23 – July 20, 2014.